There are times when a regular guitar amp – even a small combo amp – isn’t practical. Whether you want something small enough you can fit in you guitar bag when you go travelling or you want an easy way to busk with your electric guitar, a battery powered mini amp can be really handy. In this guide let’s look at some battery powered portable guitar amps and what to expect from one. We’ll look at what they’re good for, what they can’t do and some alternatives for people who travel often or need a different option. In most situations it’s easy to get access to a power outlet and run a regular guitar amp. When you’re practicing at home, at band practice or performing live, you can safely assume you’re going to have access to power. 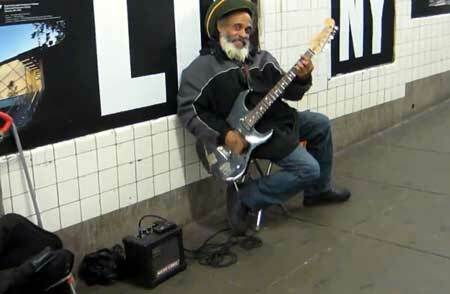 One common need for a battery powered amp is busking. 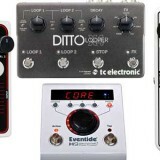 While there are larger options available than the mini amps covered in this guide, you might just be starting out and want something a bit more affordable. 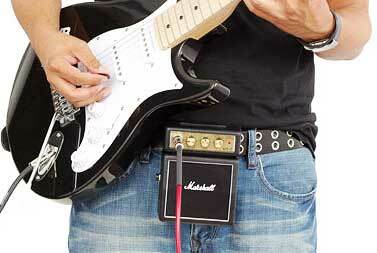 It’s also handy to be able to fit your amp in your bag or strap it to your belt while you play. These mini amps are also handy for guitarists who often travel. One of my student regularly needs to travel for work and uses a Blackstar FLY3 while he’s travelling. He simply throws it in his bag and can jam away in his hotel room at an appropriate volume level. One feature you should consider when choosing a battery powered amp is rechargeable batteries. Some amps may have a built-in rechargeable battery while most don’t. But even if an amp doesn’t have a built-in rechargeable battery, you can still get the same advantage by buying your own rechargeable batteries. They’re more expensive to buy than regular batteries, but the big advantage is you only need to buy one set instead of constantly replacing regular batteries. You will either need a 9V or AA batteries so check the description I’ve included for each amp to make sure you buy the right type and amount. There’s also a 2-pack available instead of the above 4-pack if you don’t need that many spares (although they’re handy for guitar pedals). If you need AA batteries, you will likely need 6 of them. 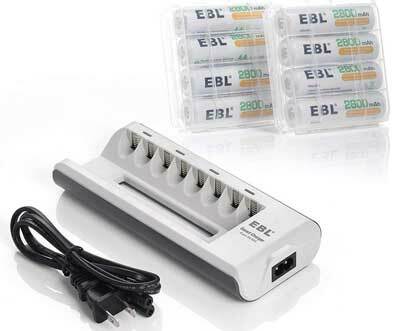 I recommend an 8 bay charger like this one so you’re able to charge all your batteries at the same time. There are a lot of 4 bay chargers available which is a pain when you need to charge 6 of them. The above charger can also charge AAA batteries which is handy if you have other things at home that use AAA batteries. It’s important to understand how volume and sound quality changes as you move towards smaller amps. Make sure you know what to expect before you buy a smaller amp and you’ll be happier with the results. The wattage of guitar amps is one of the most misunderstood areas of guitar gear. If you see a 50-watt amp and a 100-watt amp, you would think that the 100-watt amp can produce twice the volume, right? Well it’s not that simple. In fact, a 100-watt amp is only 3dB louder than a 50-watt amp. That’s noticeably louder, but nowhere near double the volume. This is why a small 3, 7 or 10-watt amp can still produce a loud volume. A 10-watt amp at full volume is only 6dB quieter than a 40-watt amp at full volume. The point to remember here is that an amp’s watt rating shouldn’t be thought of as the volume rating. A 3-watt mini amp can still produce a loud volume. While it will be quieter than a 100-watt amp, the difference between the two isn’t as significant as you might think (it’s only a 15dB difference). If we think of a 4×12 stack as the ‘gold standard’ of guitar tone, as we move to smaller amps, we end up with lower perceived quality in tone. Of course there are plenty of small combo amps that sound amazing, but there is a relationship between speaker size and perceived sound quality. The 12″ speakers in larger combos or stack amps can produce excellent quality tone because the large speaker size gives us a better frequency response. 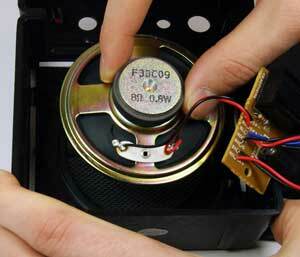 As the speaker size becomes smaller, the range of frequencies the speaker can produce decreases. This is why a small practice amp can sound thin and weak compared to a large combo. The smaller speaker size struggles to produce lower frequencies. This is why bass guitar amps often use 12″ or 15″ speakers – the larger size helps with the lower frequencies. All of this means the tiny speakers in a mini amp are very limited in what they can produce. Don’t expect amazing tone from any mini amp with a 3″ or 4″ speaker. While some of the mini amps can still produce a surprisingly decent tone, they just can’t compare to something with a larger speaker. While this might put a lot of people off of mini amps, remember that the main benefit of one of these amps is to have something you can easily pack into your guitar bag to take with you. If you want good quality tone, you need to sacrifice portability and get something bigger. You’ve probably seen the Marshall MS-2 at some point. 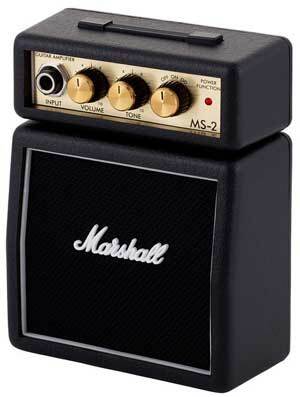 It’s an iconic amp due to its tiny size and because it keeps the classic Marshall stack look. 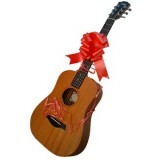 A lot of buskers can be seen playing with one of these strapped to their belt. In fact, that’s probably the main benefit to this amp – it gives you that classic look and you can strap it to your belt. There’s not much else that can be said about this amp. Compared to the other options it doesn’t perform very well and it’s quite basic with features. I couldn’t find any mention of the speaker size and I didn’t have a tape measure when I tried one out. So while I’m not exactly sure what the speaker size it, it’s a pretty safe guess that it’s a 3″ speaker seeing as the amp’s width is 4.3″. If you’re a fan of Marshall amps, it might be worth it for the look alone, otherwise you may find a far better option from one of the below amps. While the advertising may say it gives you “authentic Marshall tone”, you really can’t expect a tiny amp like this to produce anything that comes close to a typical Marshall tone. Check out the current price and different option of the MS2 here. 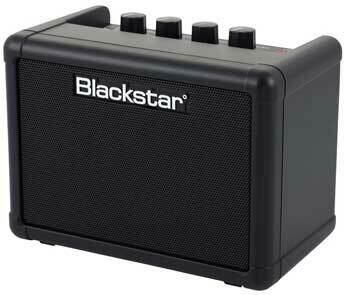 Blackstar make some fantastic sounding amps so it’s no surprise that the FLY3 is one of the most popular mini amps. While a lot of mini amps sound like trash, the FLY3 is actually quite impressive for such a tiny amp. The amp weighs 2.2 pounds (1 kg) and measures 7.6 x 5.6 x 4.3 inches (19 x 14 x 11 cm). The ‘ISF’ knob is an EQ/tone control that adjusts the sound from a more British sounding amp to a more American sounding amp. The ‘EM. OUT’ on the headphone jack stands for ’emulated out’ which emulates the sound of an amp’s speaker output. While you shouldn’t expect anything amazing for recording, it’s useful for quickly recording any ideas you have or plugging into a bigger set of speakers (eg: home stereo system). 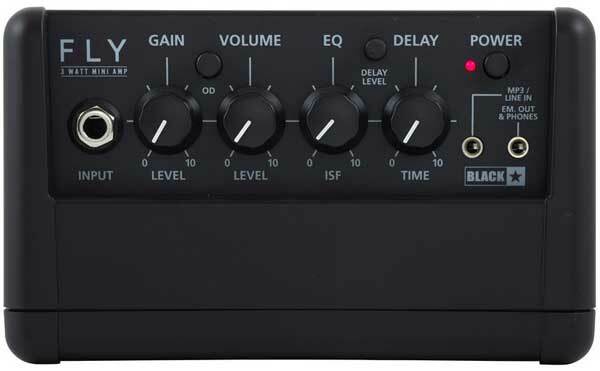 The tiny control for the delay level might seem annoying, but the chances are once you set it to a level you’re happy with, you’re probably not going to touch it ever again. There is also a Bluetooth version called the FLY3BLU which is the exact same amp, but allows you to connect to a smartphone for backing tracks or listening to music. You can even buy an extension cabinet which allows you to turn your 3-watt amp into a 6-watt stereo rig. The FLY3 is possibly the best mini battery powered amp available at a decent price. While it may not be as good as the BOSS Katana Mini, it is significantly cheaper. While the Katana Mini is on the more expensive end of mini amps you can currently buy, it’s also one of the best available. The Katana Mini’s website claims the 6x AA batteries can power it up for up to 7 hours of operation. Compared to the Blackstar FLY3, the Katana Mini is more than twice as powerful and has a larger speaker. When we’re talking about amps of this size, the difference in power and speaker size plays a big part in how good this amp sounds. Remember that this doesn’t mean it will be twice as loud as the FLY3, but you will definitely notice a difference. Compare the Katana Mini to the Marshall MS-2 and you will instantly hear the huge difference in quality. This is why unless you’re a big Marshall fan, I highly recommend either the FLY3 or the Katana Mini over the MS-2. The sound quality of the Katana Mini is surprisingly good for an amp of this size. You can see from the photo above that the controls are nice and simple and give you plenty of control. There’s a three-way selector switch to choose between the three channels: brown, crunch and clean. While there are no other inbuilt effects on this amp, it does the basics extremely well. It’s an impressively solid choice for a decent price. It’s quite comparable to the Yamaha THR5 yet less than half the cost. 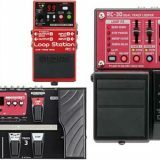 The Yamaha THR5 is the most expensive of the mini-amps listed in this guide (the Roland Cube-ST is quite a bit bigger than the rest of the amps here). It also by far the best-looking design that fits right into the ‘desktop amp’ image they’re going for. While the Marshall MS-2 might have the iconic guitar amp look, the THR5 is stunning. It even has glowing lights behind the metal grill to give the impression of glowing tubes. If you want something that looks good on your living room table or desk, it’s hard to go past the THR5. The Yamaha THR5 is a 10-watt modelling stereo amp which means you can expect a significant improvement in sound quality compared to some of the above mini amps. The only thing not shown above is the USB output and the power jack on the back of the amp. There’s a big difference to feel when you play the Yamaha THR5 compared to most mini amps. With this one it feels like a real amp and doesn’t feel like a toy like most mini amps I haven’t featured on this guide. As you can see, the THR5 packs in a lot of features. Being able to connect the amp to your PC/Mac and record is a handy feature not found on other mini amps. One potential downside of all these features is that it might impact battery life. Fortunately, if you’re at a PC and want to use the amp to record you probably don’t need to rely on batteries. 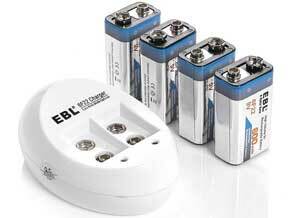 But keep this in mind when travelling – having rechargeable batteries and an 8-bank charger is definitely the way to go. For many guitarists, the improved sound quality, better design and wider range of features makes the THR5 the easy choice. Being able to play with effects, record on your PC/Mac or even use the amp to tune your guitar are all nice features missing from most other mini amps. If you feel it’s above your budget or you’re after something a bit simpler, the Katana Mini comes very close in terms of quality and may be a more suitable option for you. There are other amps in the THR series worth checking out such as the THR10 which is almost identical apart from a few extra features (check out the price and features of the THR10 here). The Roland Cube Street is significantly larger than all the other options in this guide. It’s not really a ‘mini’ amp, but it’s a suitable alternative for buskers wanting better quality sound while still having a portable battery powered guitar amp. There are smaller Cube alternatives such as the Roland Mobile Cube or the Roland Micro Cube, but the Street shows you why sometimes you might want to go a bit bigger. You will sacrifice some portability, but you will gain better sound quality, more features and more flexibility in how you can use the amp. While the power rating of this amp isn’t as high as some of the above options, the larger speakers are more important. The difference in sound quality between a mini amp with a 3″ speaker and dual 6.5″ speakers can be significant. Even moving from a mono to stereo rig can give you a big jump in perceived audio quality. The other main benefit this amp offers is the dual input channels. You have your regular guitar/instrument input with inbuilt effects, amp models and EQ. Then you have a mic/line level input with separate EQ, level control and effects. 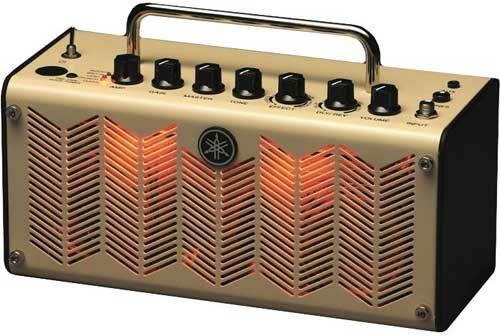 For a busker this is a huge advantage as you can run your guitar and vocals all in the same amp. You can see the separate inputs and controls for Mic/line and guitar/instrument give you plenty of control of your overall sound. The EFX and Delay/reverb are on separate controls so you’re able to combine them unlike some of the other amps with inbuilt effects. 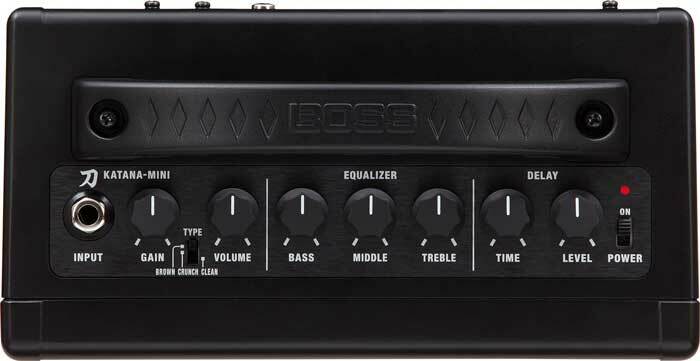 If after reading the other mini guitar amps you feel you need something more suitable and professional for your busking, this is a solid choice. 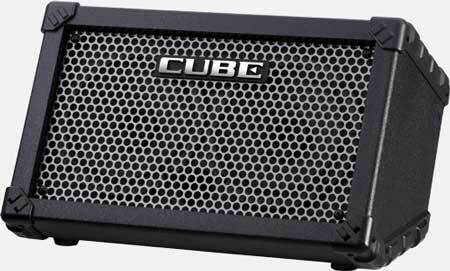 Check out the price and full details of the Roland Cube Street here. Depending on why you’re considering getting a mini amp, you might find one of these alternatives gives you a better solution. If you plan on mainly using a mini amp with headphones, then you might want to consider something like a Vox amPlug instead. This tiny device plugs directly into your guitar and gives you the option of playing through headphones or connecting to any other speaker system. The disadvantage here compared to the above mini amps is it doesn’t produce sound. You need to either use it with headphones or connect it to some other speaker system. That’s perfect if you want to practice in silence using headphones but if you want to jam with a bit of volume, you’re likely to prefer a mini amp. Check out my full review of the Vox amPlug AC30 here for more details. There are a lot of advantages to this little device. Being able to connect your guitar to a smartphone or tablet instantly gives you access to a very wide range of music-related apps. You can record your playing in a DAW, experiment with different rigs in a modelling app such as AmpliTube or BIAS, or you can jam away to backing tracks using headphones or external speakers. This option suits guitarists who have a smartphone or tablet and want to have flexibility over their tone or recording options. Just like the amPlug, you will need to rely on headphones or external speakers, but once you have something hooked up you have far more flexibility with what you can do. Check out my full review of the iRig HD 2 here to find out more about this little device. This guide focused on battery-powered amps as they can provide you with a lot of flexibility and portability. But it’s still worth considering larger amps and whether they suit your needs more. A mini amp is a great option to have, but I wouldn’t recommend one as your main amp. While the amps above can sound fairly good, they just can’t compete against larger combos. If you’re looking at buying your first guitar amp, think of these mini amps as an easy starting point, but you’re likely to want something bigger and better pretty quickly if a mini amp is all you have. Two options worth checking out are the Peavey Vypyr VIP 3 and the Line 6 AMPLIFi 30. 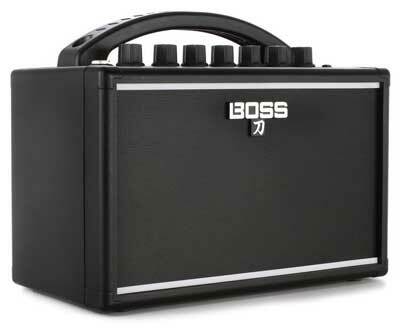 Battery powered guitar amps can be very handy for travelling or busking. Find out what mini amps are worth checking out in this guide. 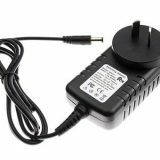 FAQ: Can You Use a 12V Adapter For 9V Guitar Pedals?